The undeniable reality is that the only commercially successful retail model now and into the future is omnichannel – the seamless customer journey through any number of interactions on our phones, tablets, computers, and with physical stores. The customer demands nothing less. 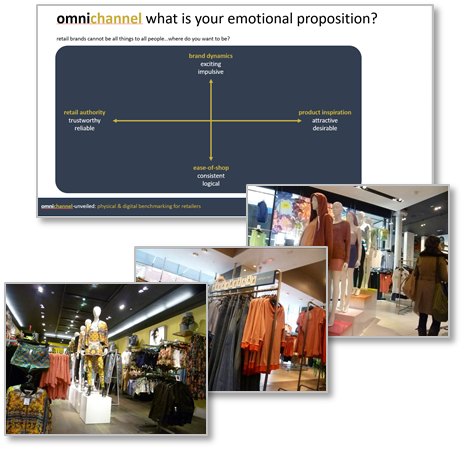 omnichannel-unveiled is a benchmarking & assessment process carried out by retail experts analysing how well a retail brand delivers & communicates its market position and its commercial & emotional propositions across channels. 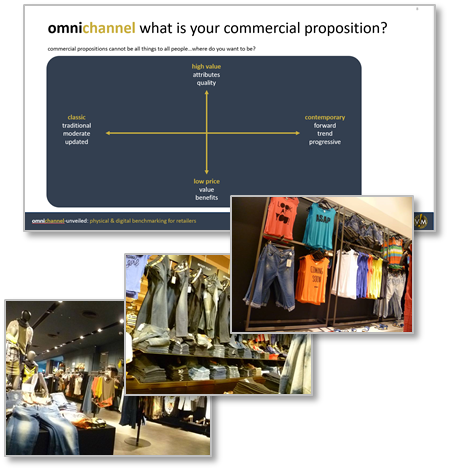 omnichannel-unveiled is not just a number scraping or data crunching exercise but a process that coordinates quantitative analysis and qualitative assessment to define the success of any retail brand delivery within the context of its market positioning. are you classic, contemporary or trendy…sporty, casual or formal? are you exciting & dynamic…or trustworthy & reliable? what do you represent in terms of absolute price & perceived value? 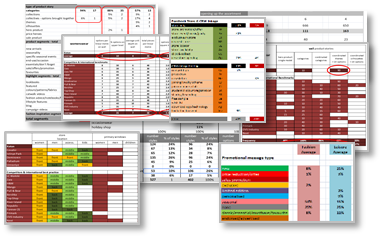 the scores are then weighted using specifically devised formulae, in accordance with their importance in delivering specific proposition perceptions. The client proposition delivery is then compared with competitors. The strength by channel of the client brand is compared with the channel strength of competitors & best practice. 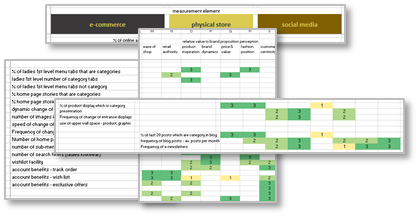 So now, what about your omnichannel retail business? Do you feel as though it is necessary to improve the strength of your brand proposition and the clarity of its communication; do you have opportunities to make your physical stores better, your e-commerce more engaging or your customer communication more dynamic; or is the key to sales performance the integration and coordination of your channels and platforms.